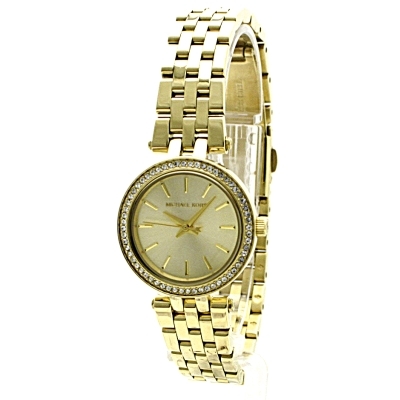 Michael Kors Petite Darci MK3295 is a beautiful and attractive Ladies watch. Case material is PVD Gold plated while the dial colour is Champagne. This model has got 50 metres water resistancy - it can be submerged in water for periods, so can be used for swimming and fishing. It is not reccomended for high impact water sports. The watch is shipped with an original box and a guarantee from the manufacturer. 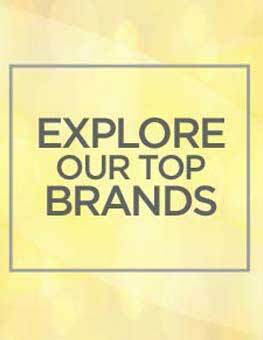 Excellent choice of watches, easy ordering and prompt service. Had watch gift wrapped as well. All good could not fault the service. Very pleased with my purchase. Very happy with item and am sure will make a lovely Christmas present for my daughter. Ordering and delivery process was very good. Brilliant, as described and delivered on time the next day! Excellent standard. Watch was what was expected. Quick efficient delivery too. Loved the watch, exactly like shown in the picture. Looks very elegant! Very nice watch and comfortable to wear but my partner didnt like it unfortunately, and told me to return it. I had this watch as a Xmas pressie and absolutely love it. 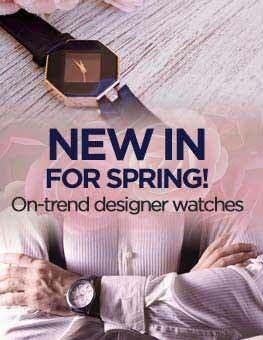 I am a fanof Michael kors watches, but like the smaller ones, as I feel they are more age appropriate. It fitted perfectly without adjustment and I feel I can wear it for both day and evening. Altogether a great watch. Very good services. Item Arrived in a very best condition. Recommended this seller. Everything fine. Good customer service from Goldsmiths on collection as they removed some links for a better fit. 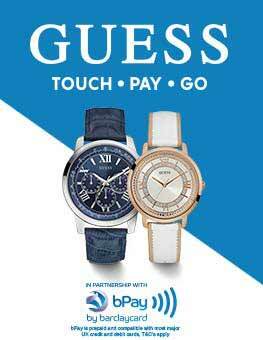 Competively priced watch simple order process, followed by fast delivery and nicely gift wrapped. Excellent watch bought for my wife , looks great , totally happy with the look and fit . Good price too . This item arrived very quickly and was packaged very well. very nice watch waiting to give it to my mother for christmas cannot wait. Bought this watch for my mum for a Christmas present. 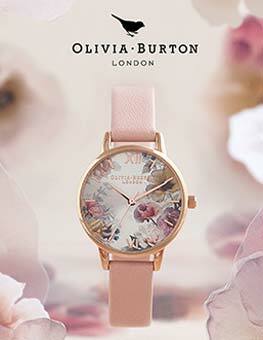 Lovely, small, elegant watch. Very classy and the delivery was really quick! would definitely buy off this site again. Thank you! Looked for something nice for a birthday present. Definitely seemed to do the trick. Nice small watch. 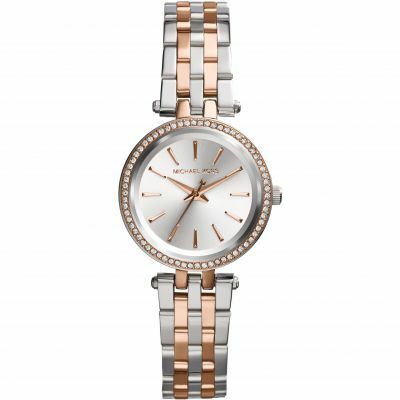 Lovely looking watch with perfect face size for female. Bought as a gift for my wife who loved it. Very pleased. Ordered this watch but have sent back as it has a very small dial, it would be perfect for someone with very petite wrists or someone who just likes a smaller face, but I dont. Also the crystals around the outside dont sparkle and stand out that much and as I am a bit of a magpie I was disappointed. Nice watch just not for me, I ordered the Juicy Couture watch with all the crystals on the dial and that has all the bling I needed. Perfect gift for my mum. Super stylish and fits her perfectly. She loves it!! the watch is really beautiful. I received the item in a day it was mentioned. Good quality watch! Definitely recommended! 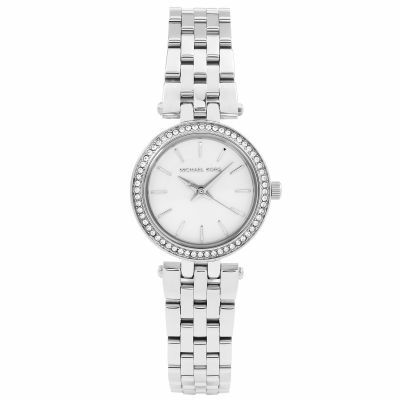 Beautiful ladies watch, the mini Darci has the more traditional size of a ladies watch, with the Michael Kors style. A very pleasing present. My wife liked the watch. Needed 4 links taken off and took local shop half an hour to do . Lovely watch, just what I wanted the face is not to big and it will be great for daytime or evening. fast delivery as usual, very happy with my purchase. I am very please with the service I have recived from watchshop, would highly recommend. I got this stunning lovely watch recently as a present. I am so pleased its outstanding! !!! 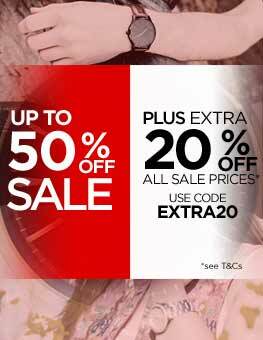 Saw the same watch cheaper on another website but Watchshop not only matched it but discounted further. Watch arrived next day. Great service will use again. My daughter found the watch to be everything she hoped it would be. Stunning design, quality finish with champagne dial. Truly, a pleasure to have on my wrist. Much admired. I bought this as a gift. I have the larger face of the same style. This smaller face is great to wear more loosely as a bracelet style. The gold colour is lovely and not too yellow looking so will go with everything. It comes with the nice Michael kors box so looks great all wrapped up. Couldnt have been happier with the service. It was despatched and delivered quickly and arrived in safe packaging so little chance of damaged occurring during transit.